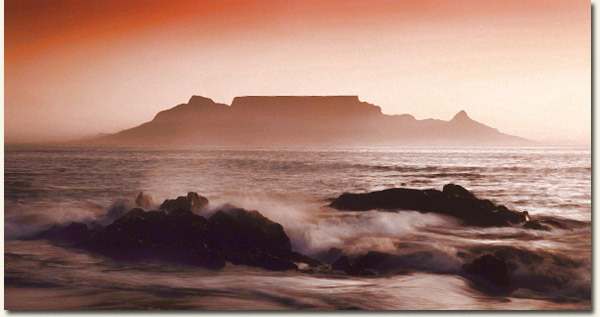 It's a universal fact that you can't speak of the world's most beautiful places without accounting for South Africa. There are many who believe that our valleys and hills are the most enchanting farmland on the planet; others point to the Drakensberg and the Golden Gate National Park, while we'd challenge anyone to reveal a more spectacular coastline anywhere in the world, than our neighbouring Wild Coast. And then we have our wild places, Northern Zululand and Mpumalanga, and a Karoo that makes the Outback look ordinary. The winelands of the Cape have no competition in the world of viticulture, and just this week the New Seven Wonders Foundation identified Table Mountain as one of only seven new wonders of nature. It's in good company; the Amazon, Halong Bay, Iguazu Falls, Jeju Island, Komodo and Puerto Princesa Underground River. A tough contest when places like our district's Drakensberg Mountains, Kosi Bay, Victoria Falls and the Okavango Delta etc missed the cut. You can excuse the organisers for omitting the Wild Coast - it's so inaccessible, it's unlikely any of them has ever been near it. And that's the prime reason why it remains one of the last natural beauties of the world. In an independent impact report conducted by Grant Thornton, a leading tourism, hospitality and leisure research company, it was predicted that a R1.4 billion annual tourism return can be expected for South Africa. Basing their projections on the New 7 Wonders of Nature, in which a 100 million votes were cast worldwide, Grant Thornton estimate that tourism could increase by as much as 20% as a result of this latest finding. While Hartford House remains one of the nation's favourite destinations, if Grant Thornton are right, we have something to look forward to.